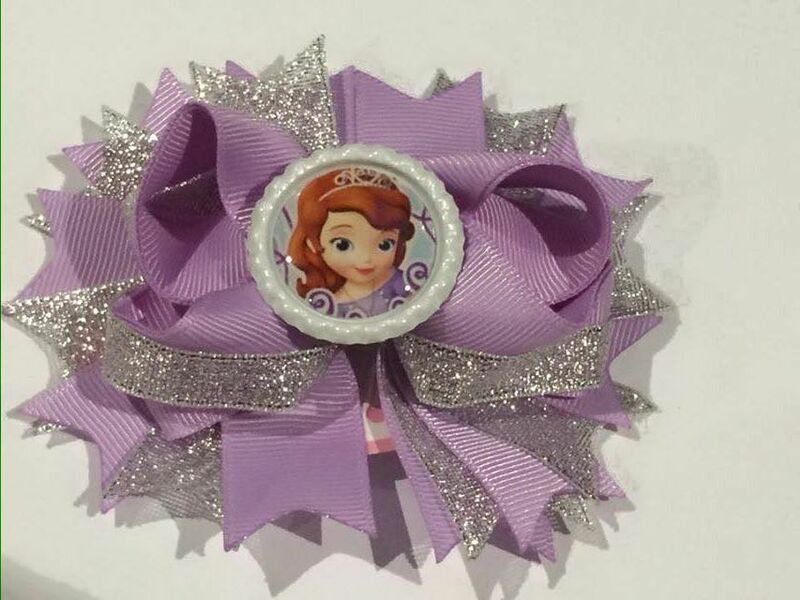 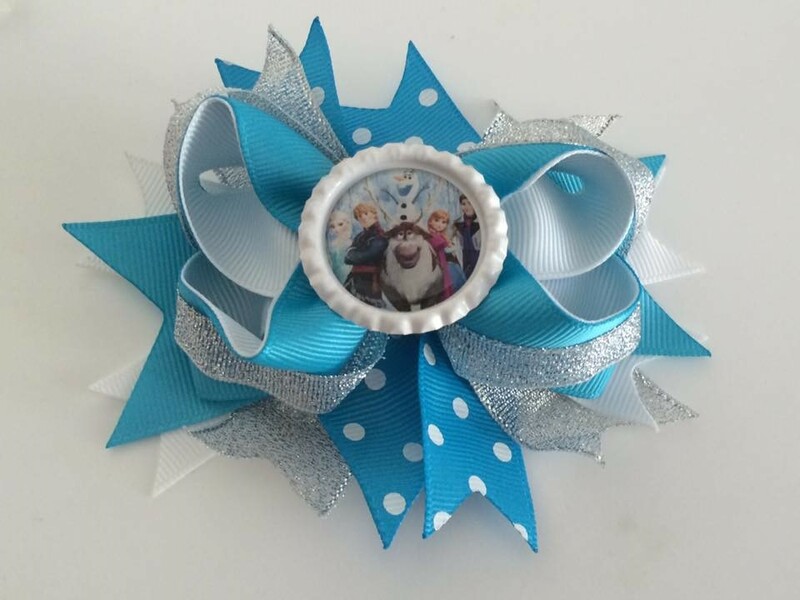 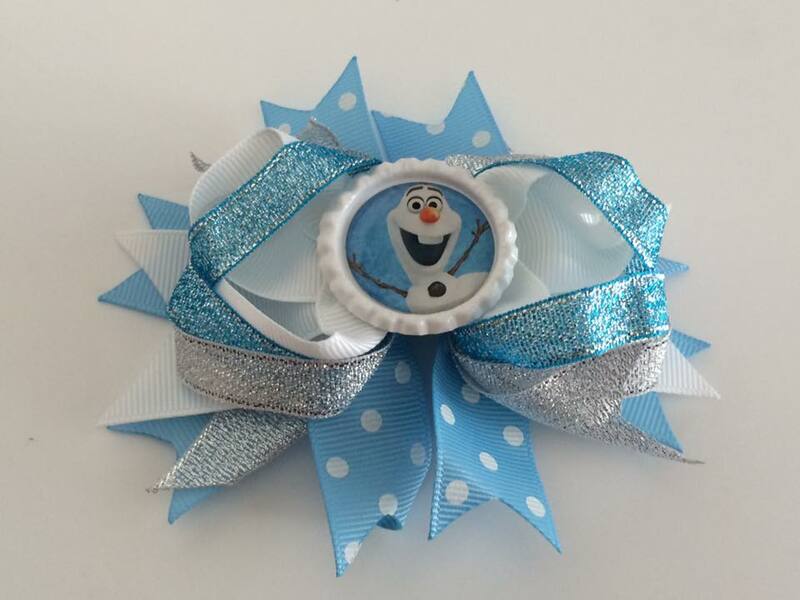 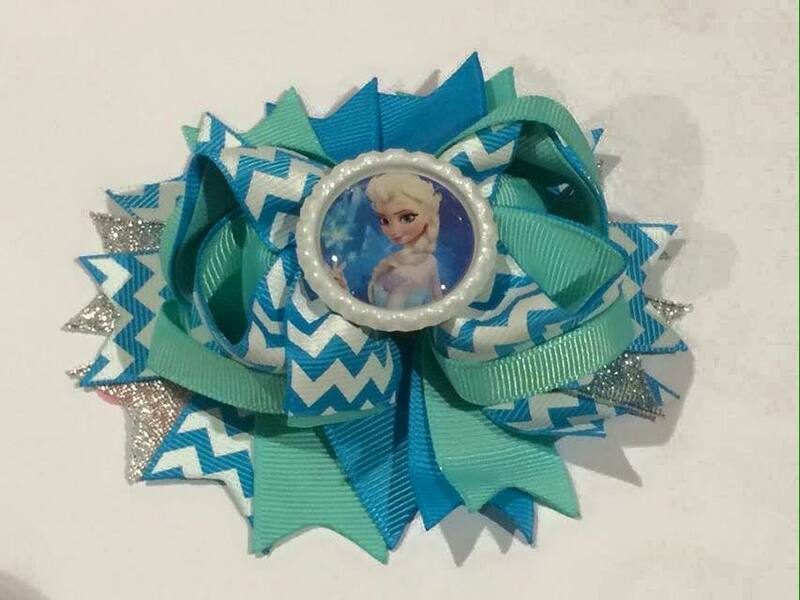 11.5-13cm boutique bows with Disney bottle caps. 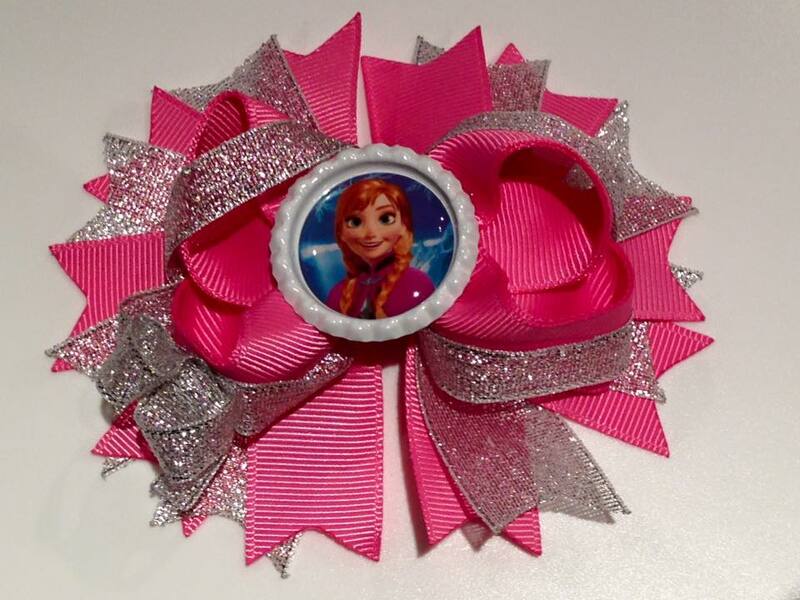 These are sure to be a statement piece in any little girls accessory collection. 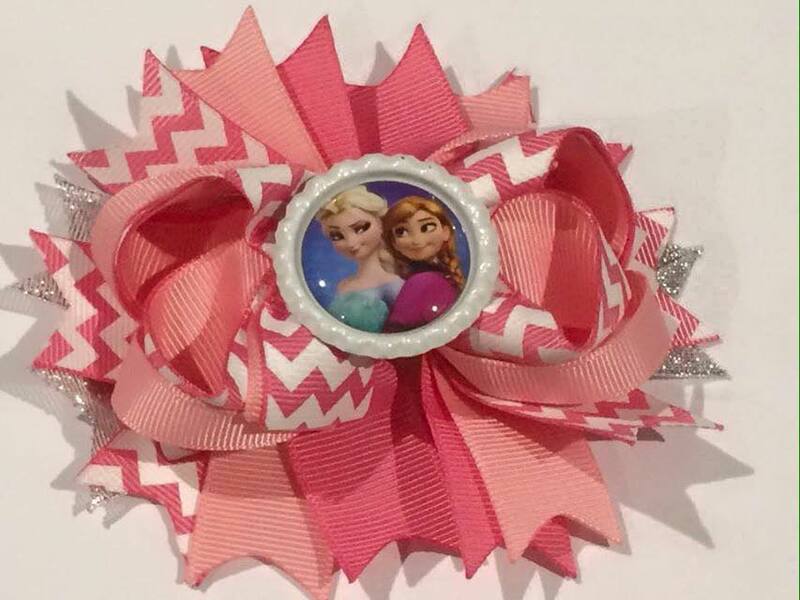 Fixed to a double pronged alligator clip, they are sure to stay in any hair.